Now that Season One is coming to a close, this is a great time to update you all on some amazing accomplishments that you have helped make possible. The first time we discussed League of Legends growth was back in August of 2010. The number of players enjoying the game then was impressive, but since then our phenomenal rate of growth has increased. As of today, 15 million people have registered to become League of Legends players. Each month, over 4 million people log in to play. And on each day, 1.4 million summoners play League of Legends together. When we’re at our busiest, over 500,000 people in North America and Europe are in game at the same time. On average, more than 10 games of League of Legends start every second of every day. As we expand into Asia and abroad, the possibilities around live, global events makes the game enthusiast in all of us shake with excitement. The phenomenal growth that we have experienced this year has not just been limited to the playerbase. Riot Games itself is now more than five times the size it was when we released League of Legends back in October of 2009, weighing in at more than 300 employees in four different cities across three continents. And we’re actively hiring more people now than we ever have before! Our success, however, can sometimes be our greatest challenge. Servicing half a million players simultaneously puts us in a great, but challenging position, which means we face unique problems to solve to ensure stability. Over the past year, we’ve grown the company to create the best League of Legends experience possible, both in terms of our ability to add new features, new content and, most importantly, to ensure our stability. Our recent division of the EU platform into EU West and EU Nordic & East is our most major, visible improvement to stability, but we’re constantly working to ensure you can continue to play in a reliable environment. None of this would have been possible without you. 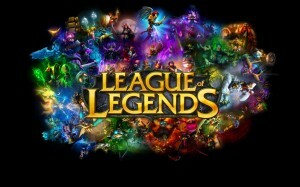 League of Legends is your game, and you’ve made it abundantly clear that League of Legends is not only here to stay, but this community has made it one of the most popular PC games in the history of our industry. For that, I want to express my most sincere heartfelt thanks; from me, and everyone here working around the clock to give you the gaming experience that you enjoy, and the features that you’ve been asking for. Looking back at all we’ve delivered makes us proud – from game features like Draft Mode and Ranked Games around Season One, to Battle Training and Co-Op vs. AI to help you bring your friends into the game, to our commitment of constantly enhancing our community with Auto-Leaver banning, the Summoner’s Code and the Tribunal. We are also committed to continuing to improve and expand our web presence, our live event coverage and competitive scene, but patting ourselves on the back about the past is not what Riot is all about. Last December we told you to expect the unexpected — and in 2011 we will deliver on this promise. We are extremely excited to continue to demonstrate our commitment to constantly delivering the most innovative and player-centric online game experience around for all of you to enjoy. You have our sincere commitment that we are still just getting started and the best is yet to come. Thank you for your continued support, and thanks for playing League of Legends! Now the thing that sticks out to me is the 15 million player base. Not to shabby for a free to play game. While I was playing this game I never thought the user base was that large. To me it still seemed like a fairly unknown game, but the numbers don’t lie. Have other games suprised you in thier popularity? There are idiots in every game that you play. I remember when I first started playing EvE I was asking questions about the game and this guy lit me up for not understanding everything “You don’t understand how do to this… God it’s so simple are you stupid?” People like that ruin games, if there was a way to remove them I totally would but you can’t. Thanks for your comment and welcome to the site good sir! I was a little surprised when I started playing this game. At first, I thought it’d be like some other games on the ‘net that advertise everywhere and don’t have an outstanding play experience. Initially, I didn’t do so well in the game. After learning the mechanics, finding a site with builds, my play has gotten a lot better. As with any game, there are idiots who play, and a bunch of other idiots who you think shouldn’t play… but overall this game is a keeper. Also, some of the best things in life are free. Like LoL. Since I’m a fairly avid player of this game, I’ll throw in my two cents. League of Legends is a really, really, really good game. There are only two things that keep me from absolutely falling head-over-heels for it. 1. The game steals a lot from DotA, but it doesn’t lie about it. The creators were incredibly notable in the DotA community and stayed fairly true to the theme, with some modifications that I daresay are improvements. However, they took out a number of things that really contributed a lot to the “skill” of DotA, namely the fact that you lose gold when you die, you can no longer “deny” (kill your own creeps so the enemy player will not get the gold), and most items no longer have their own abilities. All of this is a bunch of worthless jargon to those who don’t play, but trust me. You play LoL and you play DotA and tell me which requires more skill. Again, this is just personal preference. The changes made the game a lot more accessible. 2. Because of the aforementioned skill lowerage, and the fact that it’s free, some of the players (generally the ones that end up on your team in matchmaking and pick the important heroes) are, shall we say, COMPLETELY RETARDED. The problem here is that this isn’t a type of game that you can just jump right in with and know what you’re doing. You need a buddy or two to introduce you, show you the ropes, teach you the basics, and then help you refine your skills. It’s one thing to not be able to hit a skillshot or land a thin stun with 100% accuracy, but it’s a completely different thing to not know that the carry hero needs more gold and EXP. But, I’m not here to hate. If you read this comment and you like the looks of this game, feel free to message me and/or hop in our Ventrilo. I’ll be more than happy to show some of you guys the ropes.